Mike hails from the UK, not that it's so obvious from just a quick conversation with him. He unconsciously switched out his thick Bristolian accent many years ago, first softening it to an Oxfordshire twang, and now adding a little New York squawk. 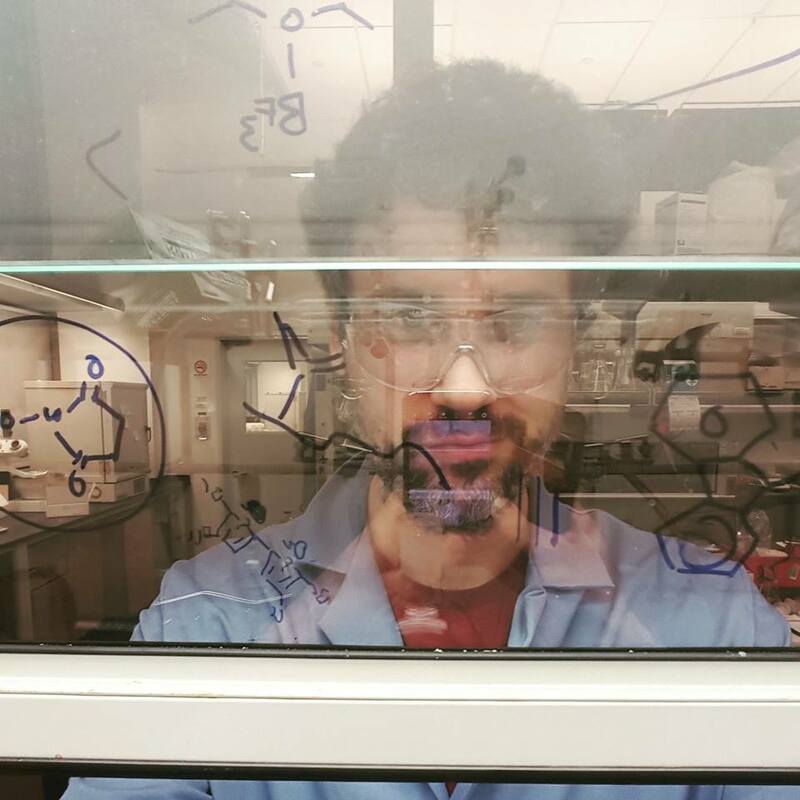 Before moving stateside in 2015 as a Marie Skłodowska-Curie Fellow, he obtained his M.Chem. at the University of Durham (2008), and completed his Ph.D. in organometallic chemistry at Imperial College London (2013) with Prof Nicholas Long and Dr Tim Albrecht. Though currently based in the Venkataraman group measuring new materials for single-molecule electronics, he visits the Campos lab often to get his synthesis fix (and boy, does it feel good). His one true love is rock 'n' roll music, closely followed by Sci-Fi/Fantasy films of dubious quality.